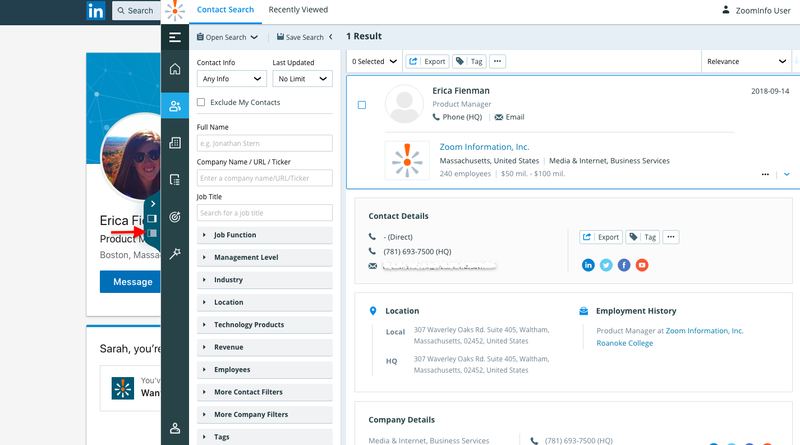 We released a new version of ReachOut to create even more efficiency in your prospecting efforts! Now, instead of needing to open a new tab to find more contacts at a company or view your ideal contact's full contact card, you can easily expand ReachOut to the 80% view on the sidebar, without losing the page that you're on. 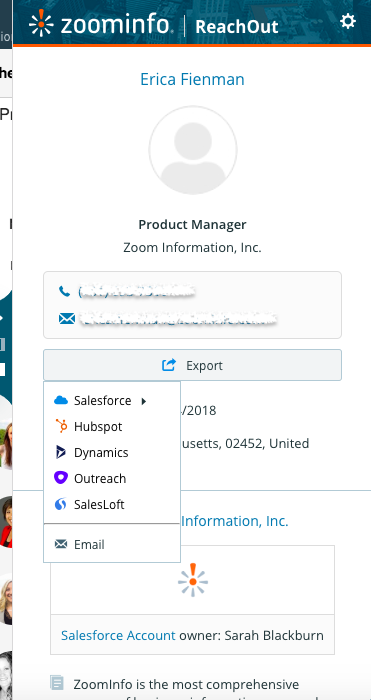 You can now export contacts and accounts to Salesforce as well as export to all of our integrations (HubSpot, Microsoft Dynamics, Outreach, and SalesLoft) right from the 20% view in ReachOut!